NOTE: This Mini-Series program is ONLY available for Pharmacy Continuing Education (CE) credit. This 6-episode Series follows a pharmacy student and preceptor from orientation to the midpoint of a community rotation. Each video episode is 5-8 minutes in length and builds upon the next. During the Series you will experience a combination of inappropriate and quality interactions between the student, the preceptor, patients, and technicians. At moments throughout each episode, two preceptor experts provide humorous interactions and share insight on how they would deal with each learning situation. The experts will discuss the principles focused on orientation, feedback, and teamwork as it directly relates to a community pharmacy experience. 1. Describe the importance of reviewing student and preceptor expectations during a rotation orientation. 2. Examine interactions between a student and patients and determine how lack of proper preceptor supervision can negatively impact an experience. 3. Identify strategies to utilize “teachable moments” during slower times of a community pharmacy experience. 4. Discuss the importance of how and when to best provide feedback to students throughout an experiential rotation. Resume a Course: To resume a course, login to your account at the top right side of the page. Next, go to "Pending Programs/CE" in the top gray toolbar. 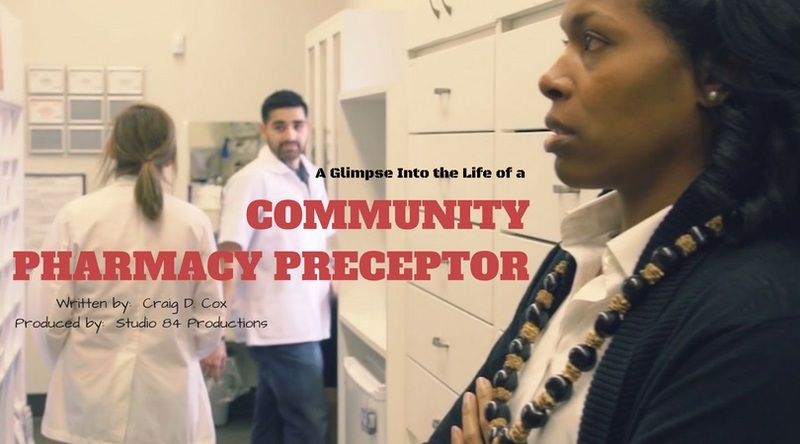 Select the "Distance" tab and then select "A Preceptor Mini-Series 4: A Glimpse Into the Life of a Community Pharmacy Preceptor". Registration Fee: This program is FREE to Texas Tech Health Sciences Center Preceptors. For other state of Texas Preceptors the cost is $12 and for non-Texas Preceptors the cost is $15 for the 1.5 hour CE program (see below). Individuals will be audited to ensure they selected the correct enrollment type. Those found to have falsely selected the wrong enrollment type for the lesser registration fee risk having their CPE credits removed from their NABP eProfile. Group Discounts: If you are interested in a group rate for your organization, college/school, institution, or other entity please click here. Program Expiration: CE program will be available until 06/12/21. Participants will have opportunity to access all materials until that date. After this deadline CE materials will no longer be available. You will have the opportunity to obtain CE credit after completing all 6 episodes (1.5 hours of CE credit). You can complete the video episodes at your own pace. Once you complete all 6 video episodes you will receive 1.5 contact hours of credit. To Register for this Program: Select your fee type and then hit "Purchase Now" at the bottom of your screen. If you would first like to read a description for each of the video episodes included in this course, please do so below. What were some things the preceptor did well during the orientation? What are some areas the preceptor could improve on for future orientations? List one thing you learned during the program that you intend on incorporating into your rotation experiences? 1. Get to know your learner and ask them what they want to get out of the rotation. Develop the experience together. This will help them take ownership of their learning. 2. Discuss the roles and responsibilities of your pharmacy staff and take the time to introduce them at the start of a rotation. This will help to get the rotation off to a good start. Studio 84 for use of their "basement"
Recognize the importance of getting to know your learner at the start of a rotation. Describe the importance of reviewing student and preceptor expectations during the rotation orientation. Episode 2: "Not What I Expected"
What issues did you see in the interactions between the pharmacy student and technicians? What could the preceptor had done to prevent these issues from occurring? 1. Preceptors must be sure their students are ready before allowing them to practice independently. 2. Preceptors must be aware of both the positive and negative interactions between their students and pharmacy staff. Not spending time to do this, could have significant impact on the quality of the rotation experience. Illustrate the impact negative interactions between students and pharmacy staff can have on an experiential rotation. Episode 3: "Lack of Supervision"
What activities did you find inappropriate? Thinking back on your rotation experiences as a preceptor are their things you have asked your students to do like this? In this scenario, how could the preceptor have better handled the interaction between the student and the patient? 1. Treat your students with respect if you want them to take your rotation seriously. Only assign them activities that will help to enhance their learning experience. 2. Despite your busy schedule, set aside time to observe your student performing required rotation activities. It only takes a few minutes and can have a significant impact on student learning. Examine how preceptor assignment of inappropriate activities can influence a student’s perception of the quality of a rotation experience. Identify opportunities during a community pharmacy experience for a preceptor to observe student’s performance. What issues did you see in the interactions between the pharmacy student and patients? 1. Remember your students are an extension of your practice. Their actions are a direct reflection of you as a preceptor. 2. Allow students to be on their own only when they are ready. It is your responsibility to assess this. You must recognize ill prepared students may provide recommendations to patients that could negatively impact their health. Examine interactions between a student and patient and determine how lack of preceptor supervision can impact an experience. Recognize when it is appropriate to allow a student to practice independently. What innovative teaching strategies do you employ to provide short “bursts” of information to your students during slow times at your practice? How often do you ask for feedback from your colleagues about your student’s performance? Is it formal or informal feedback? What challenges/benefits do you see with seeking out this information? 1. Design activities for your rotation that could be given to students during slow times at the pharmacy. This could help eliminate frustration on a student’s part when there is nothing to do and if done right could be of benefit to you and your staff. 2. It is important to ask for feedback from others who help supervise your students during a rotation. However, it is equally as important to observe any concerns first hand prior to calling out your student. Identify strategies to take advantage of “teachable moments” during the slow times of a community pharmacy experience. Discuss how feedback from other community pharmacy staff can be used to enhance the educational experience. Do you routinely provide feedback to your students? What did this preceptor do well in providing feedback to her student? What could she have done better? What is the most challenging evaluation (midpoint or final) that you remember having? What made it challenging? How did you overcome it? If you have never had a student on rotation what is your biggest concern in regards to providing them with feedback? List one thing you learned during the program that you intend on incorporating into your rotation experiences with students? 1. It is important to provide feedback to students both verbally and in written form. Taking the time to write out your thoughts gives students the opportunity to look back on their progress at a later date. 2. Be aware of your surroundings when providing constructive feedback to your students. It is inappropriate to verbally attack them when others are present. Rather take time to meet with them privately. Discuss the importance of providing feedback to students throughout an experiential rotation. Determine the most appropriate location to provide constructive feedback to students while precepting in a community pharmacy setting. This is the final evaluation for Mini-Series 4: A Glimpse Into the Life of a Community Pharmacy Preceptor. Once you have successfully completed this evaluation you will receive 1.5 hours of continuing education credit that will be automatically sent to your CPE Monitor Account. Thank you for completing the Mini-Series!